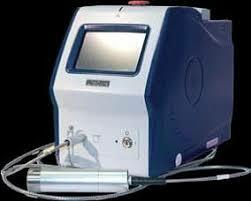 With chronic conditions, laser therapy is used most often to help combat persistent pain and inflammation. The new LightForce laser is being used by clinicians to quickly reduce inflammation in patients suffering from chronic pain. This therapy laser is especially well-suited for treating chronic conditions because it enables clinicians to treat a wider area of interest while still delivering therapeutically relevant dosages. The availability of multiple treatment heads offers additional flexibility for the clinician. The LightForce Empower™ Delivery System, for example, features 5 different treatment heads, each designed to facilitate optimal delivery in different scenarios. It is important to have several delivery options to ensure the delivery method is appropriately matched to the situation. For instance, when treating over bony prominences, an off-contact treatment method is advisable. However, when treating deep-tissue structures, such as a hamstring, an on-contact massage ball attachment is best to reduce reflection and scattering, and also encourage deeper penetration by displacing excess fluids. Different sized treatment heads can also be advantageous for administering treatments that require varying levels of precision. Advanced software is another tool that helps with treatment customization. Influence Technology™ allows clinicians to build custom treatments by selecting body region, condition, and specific patient characteristics. Touchscreens and intuitive selection processes make delivering the right dose easy. For even more customization, clinicians can also formulate their own protocols by entering a couple key components with LightForce’s newest software feature, Perfect Protocol™. With LightForce lasers, treatments are quick, usually 5-10 minutes depending on the size, depth, and acuteness of the condition being treated. High-power lasers are able to deliver a lot of energy in a small amount of time, so therapeutic dosages are achieved quickly. For people with packed schedules, patients and clinicians alike, fast and effective treatments are a must.